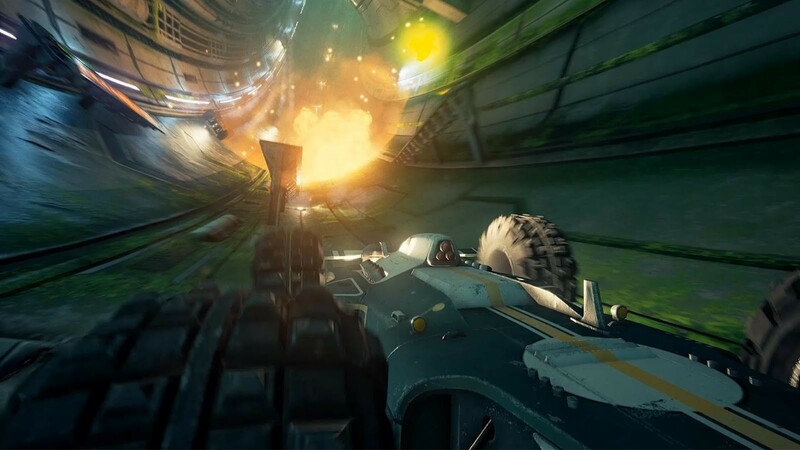 Published by Wired Productions and developed by Caged Element, GRIP: Combat Racing is going to be bringing people back to the old school days of arcade style automotive aggression. The game is known for its heavy weaponry and gravity defying tracks that vehicles grip onto as they drive. GRIP: Combat Racing features both local and online multiplayer, which is the focal point of their latest trailer. Let’s see how GRIP: Combat Racing‘s multiplayer looks. Inspired by Rollcage, a combat racer the team previously worked on, Caged Element aims to get the physics just right for this collision course. In addition to all this multiplayer functionality, GRIP also offers twenty-two tracks, fifteen combat vehicles, and nine power-ups. For more on the gameplay, be sure to read our hands on preview of GRIP: Combat Racing from our time at GDC 2018, so you can decide if you want to pick this game up when it releases November 6, 2018.